Day-to-day work in machine shops can include contact with any number of hazardous liquids, including solvents, coolants, and lubricants. Any of these fluids, if spilled, can present dangers to employees, equipment, and even risk contaminating local water supplies if washed down the drain. That’s why quick and efficient spill cleanup is a necessity when it comes to running a safe, clean machine shop. Of course, that’s only possible if you have the right absorbent materials on hand. Determining which materials to use for which spills can be confusing for a first timer. For example, when it comes to the absorbents themselves, you can choose among pads and rolls, mats, socks, pillows, and granular absorbents. If that isn’t confusing enough, keep in mind that each of those products comes in multiple variations depending on the types of liquids you may be dealing with. For example, you need a different absorbent for coolant than you would for oil. You can read up on each type of absorbent to figure out which best suit your needs, or you can make it easy on yourself with spill kits! These kits include all the basics for spill cleanup in one convenient container. You can pick up a general purpose kit for water-based fluid and hydrocarbon spills or an oil-only or hazmat kit for oils and hazardous materials, respectively. If you need something specific in your spill kit, you can even create custom kits! Besides those big spills, you will probably also have to deal with plenty of small spills and leaks every day. 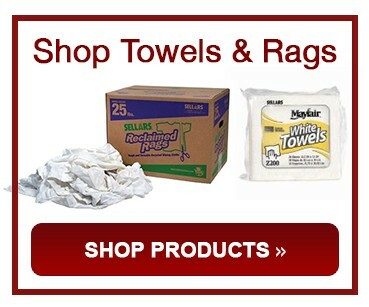 This is when easy cleanup materials like shop wipes, rags, and towels come in handy. Of course, you don’t always need to absorb a spill — sometimes you just need to contain it. That’s where containment berms come in. These lightweight, easy-to-use barriers allow quick and easy leak containment or redirection. It’s important to stay safe while handling spills, which is why you’ll also need personal protective equipment, or PPE. Some of the liquids you work with may be most safely handled when wearing clothes or goggles, so many spill kits include basic PPE. Finally, once you clean spills up, you need to put those used products somewhere safe where they won’t cause further contamination. Oily waste cans and biohazard waste containers provide safe, convenient ways to dispose sensitive waste. You should be able to focus on machining in your machine shop. With the right absorbents on hand, you don’t have to worry about spill threats. 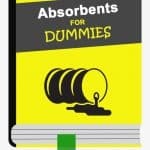 When you’re ready to equip your machine shop with the absorbents you need, the professionals at AbsorbentsOnline can help. Contact Travis Zdrazil at travis@absorbentsonline.com or (800) 869-9633. The last thing you want in your facility is a battery acid spill. These spills are extremely dangerous and can be costly for your business. But with a portable spill kit, you can respond quickly and protect both your facility and your employees. OSHA has strict requirements for employees who work with batteries. 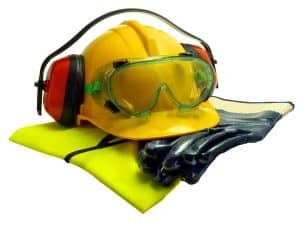 Any workers handling acids or batteries must be provided with face shields, aprons, and rubber gloves, and must have access to facilities for quick drenching of the eyes and body within 25 feet of all battery handling areas. If you want to be fully prepared for battery acid spills, you’ll need more than just the proper PPE (don’t worry — all of our kits include gloves and goggles). You need to know what type of acid is in your batteries so you can ensure you have the correct neutralizer. Workers must avoid smoking (and any other possible sources of ignition), refrain from wearing metal accessories or jewelry while working with batteries, and are required to wash their hands thoroughly after handling batteries. Charge batteries in a dedicated, well-ventilated area, and make sure not to overcharge them. Use suitable single-ended tools with insulated handles, and move batteries only with insulated lifting equipment. What sets our spill kits apart? No matter how careful you are, battery acid spills can still happen — and if they do, you want to be prepared to clean them up quickly and safely. That’s where our spill kits come in. Our spill kits are customizable. They’re available with either liquid or dry acid neutralizer, which changes color to let you know when the acid has been neutralized. Our kits come in sizes up to 95 gallons to suit any facility’s needs. These yellow, waterproof kits are portable, allowing for quick response to spills. From retail to automotive repair, these kits are ideal for any business that deals with batteries. If a battery acid spill hits your facility, be prepared for it with our portable spill kits. 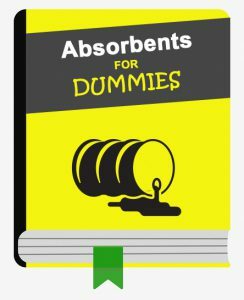 Have questions about which absorbents are right for your needs? Contact Travis Zdrazil at travis@absorbentsonline.com or at 800-869-9633.